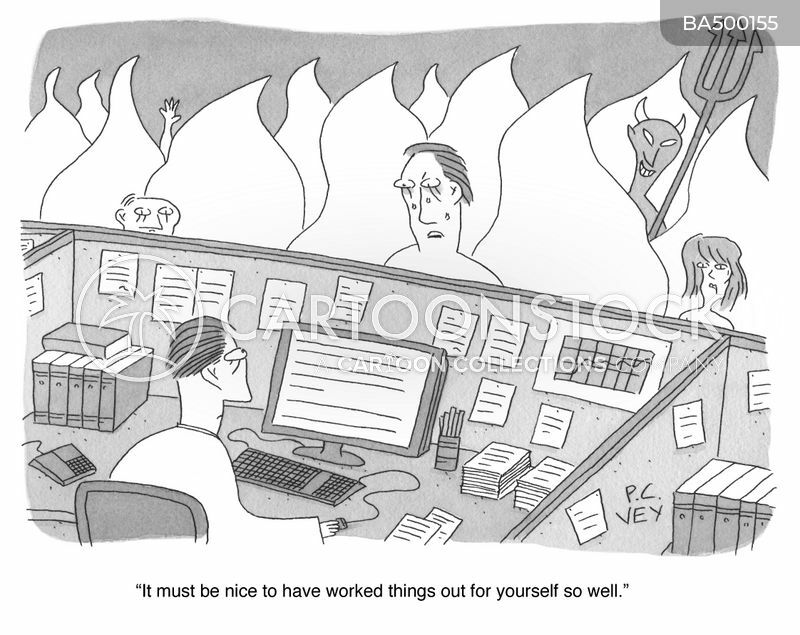 "The entrance to my cubicle is three feet away. 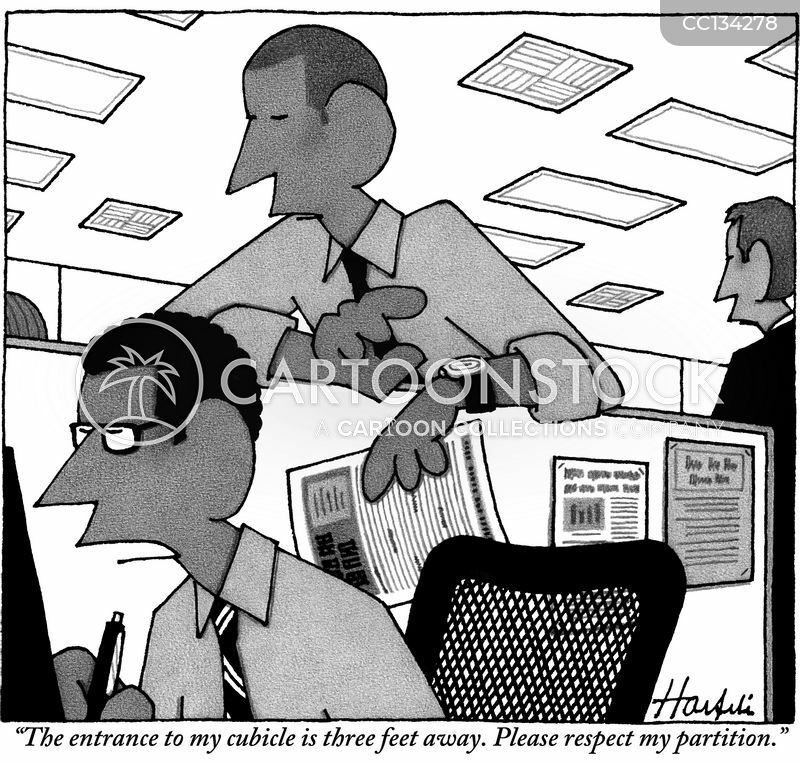 Please respect my partition." 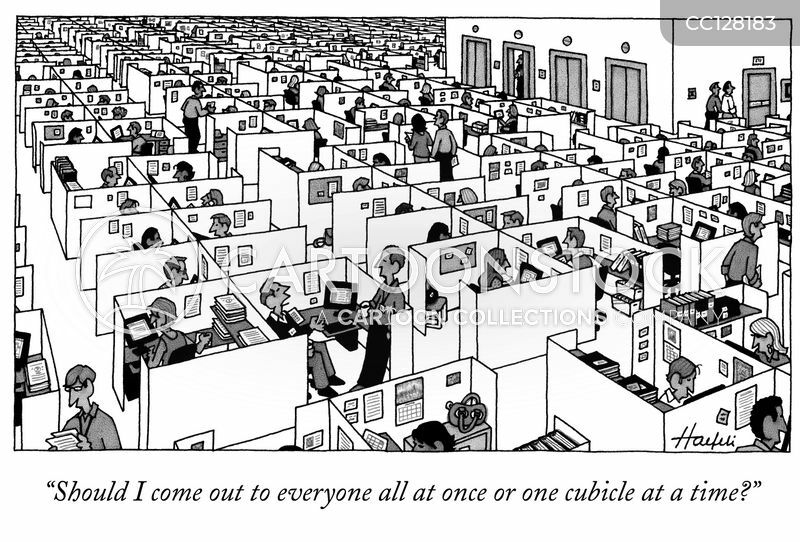 "Should I come out to everyone all at once or one cubicle at a time?"